Travelling to the far North of Scotland by road or rail is an experience especially if you enjoy fabulous scenery. Take time out to visit John O’Groats, possibly not much there for you but at least you can say you’ve been…? Traveline Scotland where you can plan any public transport journey within Scotland. Travel by Coach or Train to Thurso then use the local bus service to Gill’s Bay and Scrabster for Pentland and Northlink ferries. Orkney Bus offers a “peak” season coach & ferry service from Inverness to Kirkwall via John O’Groats. Pentland Ferries (1 hour) from Gill’s Bay to St. Margaret’s Hope. Air fares to Orkney appear quite expensive considering the time in the air, however it is possible to secure lower cost flights in advance with Loganair to Kirkwall. 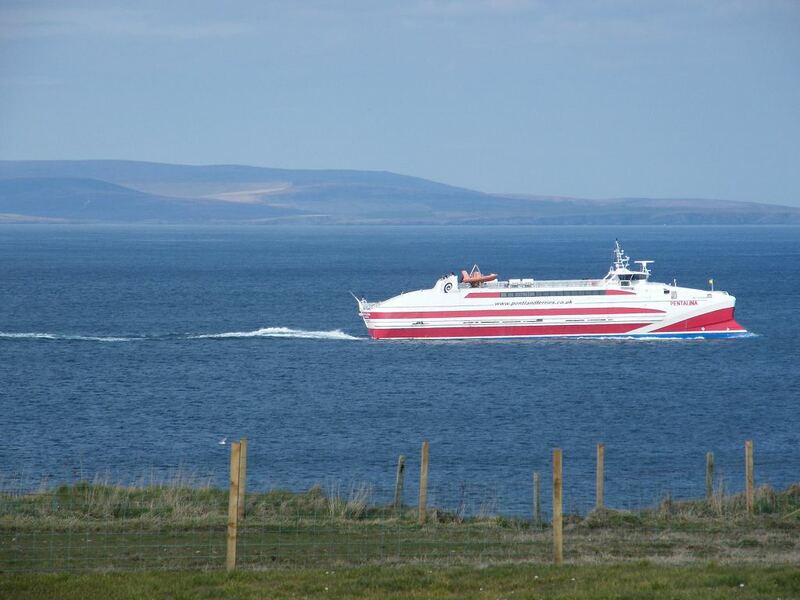 Northlink Ferries service operates from Scrabster to Stromness (1 hour 30 min) or Aberdeen to Kirkwall (6 hours 30 min) and Pentland Ferries (1 hour) from Gill’s Bay to St. Margaret’s Hope. Fly to Kirkwall from most airports via Aberdeen, Edinburgh, Glasgow or Inverness Kirkwall scheduled arrivals & departures.